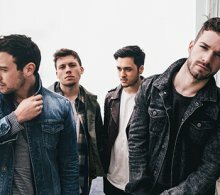 Twin Wild have toured with Nothing But Thieves, You Me At Six, We Are The Ocean and PVRIS, and established themselves as one of the UKs most promising new rock bands. Made up of the collective creative energies of Richard Hutchison (vocals, guitars), Imran Mair (drums), David Cuzner (guitars) and Edward Thomas (bass), the band formed in 2012. In July 2015, they signed a record deal with Play It Again Sam following their self-released track ‘Fears’, which received over half a million plays on Soundcloud and charted in Spotify’s Top 20 viral chart.